The world-famous annual Coachella music festival is the perfect place for artists, musicians, spectators, and philanthropists to meet on common grounds and celebrate a week of music and art together. All Public Art seized this amazing opportunity and hosted an exclusive event at the beautiful and luxurious 12 acre Pond Estate Mansion in Palm Springs, California, where they showed off their cutting-edge platform, which merges art and blockchain technology. 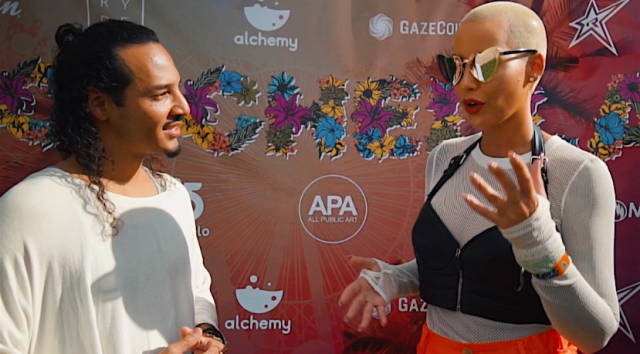 The event had a major turn out, with a wide range of celebrity personalities in attendance, including Jamie Foxx, Amber Rose, Terrence J, Angela Simmons, Vanessa J. Simmons, Director X, Lenny S, Zonnique Jailee, Jena Frames, Chanel Iman, Lauren Bushnell, Inasx and Sterl Shep — just to name a few. The star-studded crowd enjoyed an event of epic proportions which spanned 3 days during the Coachella Music Festival Weekend. The event included an art exhibition featuring artists on AllPublicArt.com, music performances, and daytime events. Guests also attended a five-star curated dinner in the estate’s sophisticated dining room, as well as masterfully cooked bbq to accompany the pool party at the impressive swimming pool accommodations. 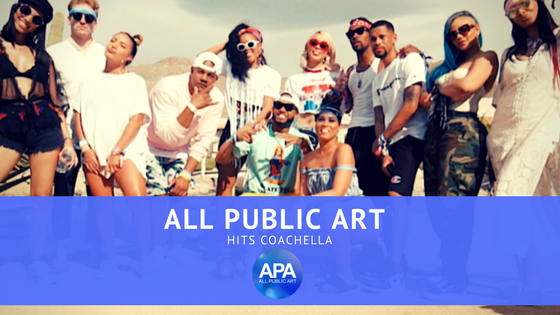 All Public Art attended the festival to unite artists with their new technology and were able to show the world a new way to support and preserve the arts by launching and promoting the AllPublicArt token in one of the most luxurious and stylish ways possible. The Coachella event was one for the books, and a good time was had by all.